I have just gotten these designs of aquaponics from pemi of the Industrial Design of Zhejiang University of Science and Technology. 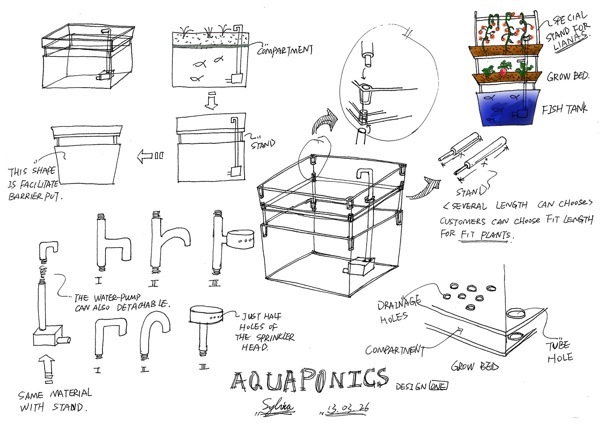 He has done these aquaponic design exercise with his sophomore students. They are great and beautiful! We will be working with them to turn these into an reality!